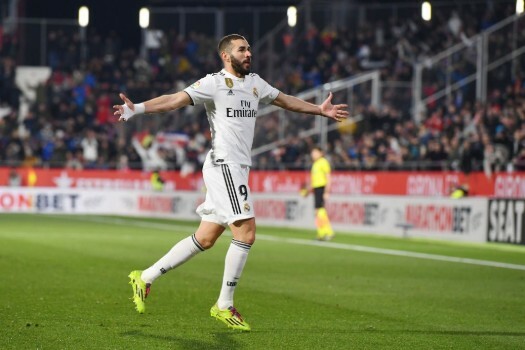 Real Madrid got back to back victories with Zinedine Zidane on the bench after beating (3-2) Huesca, the bottom table team, suffering until the last minute. Los Blancos played another terrible game with a lot of mistakes in the defense line and with many surprises introduced by the coach. Luckily, they continued getting the points to secure the Champions League spot for the next season. Zidane shocked many supporters leaving Thibaut Courtois out of the list and introducing his son Luca in the line-up, with Keylor Navas on the bench. It was the first game in La Liga for Zidane’s son this season and his second ever game with Real Madrid after the match against Villarreal, the last one last season. He also introduced Llorente or Brahim Díaz in the starting eleven together with Isco, who is improving little by little. The one that is not improving is Nacho Fernández. Once upon a time a secure defender, this season he’s shaking in every game and against Huesca he committed the first mistake very soon, allowing Cucho to score the first goal in the 3rd minute. Real Madrid drew the game in the 25th minute thanks to Isco, in his second goal in the two games with Zidane after tapping a cross by Brahim. Meanwhile, Real Madrid saw how two of their main players, Gareth Bale and Marcelo, kept showing a performance far away from their quality. Llorente and Isco got tired, not used to play many minutes, and Ceballos wasn´t the right guy to organize the midfield. However, the Andalusian midfielder scored in the 62nd minute. Despite the goal, Los Blancos didn’t improve the way of playing and Huesca were growing and growing during the game. In the 74th minute, Etxeita scored with a header equalizing the game. The bottom table, a team that had never played at Santiago Bernabéu, was close to get the three points. Zidane introduced Mariano on the pitch, but Karim Benzema was again the one making the difference. The French player scored a great goal in the last minute giving Los Blancos the three points. 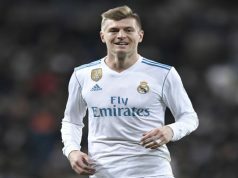 He was the best player on the pitch in a bad Sunday evening for Los Blancos, and the one securing the victory. Previous articleMessi v Ronaldo, Who Will Reign in Europe?